It’s not necessarily “tech” but because I love Kavaj’s iPhone and iPad cases so much I had to get my hands on their latest product, a genuine leather wallet called the Munich. Kavaj makes the sleekest leather cases on the planet for iDevices and backs them up with an amazing customer service team. I met them when I inquired about two stitches that had come out of my iPad case. They refunded my order without me even asking. I’ve bought dozens of cases since then for my devices and for friends. 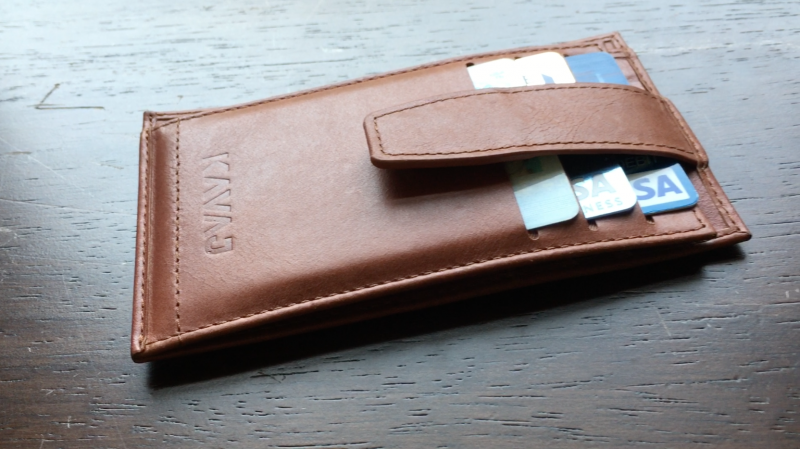 The Kavaj Munich is their wallet that holds up to 9 individual cards and has two pockets for business cards, receipts or cash. This is a BUY for sure. The construction is solid, the design is smart, it looks awesome and it’s well prices for genuine leather backed by an awesome warranty. Bonus Tip: Go to Kavaj.com/newsletter and sign up there to get a coupon code for $5 off your first order. They do all their order fulfillment through Amazon.com so buying from them is easy.